Suicide Squad was a big financial success for Warner Bros., but it is almost impossible to not acknowledge that the movie had some flaws. The DC super villain adventure was critically lamented and very divisive among fans, but that didn't prevent it from raking in big bucks at the box office. Still, even director David Ayer has now acknowledged that the movie was far from perfect. In fact, he says that if he could go back in time, he would make The Joker the main villain. The director recently responded to a fan in a fairly lengthy manner on Twitter. The fan was on the positive side of things, saying "So thankful for suicide squad @DavidAyerMovies exactly the way it is. It's a masterpiece, don't let anyone tell you otherwise!" David Ayer took the compliment, but took the opportunity to address both sides of the argument both for and against Suicide Squad. Here is what he had to say. "Thank you so much. I know it's a controversial film, I really tried to make something different, with a look and a voice of its own. I took inspiration from the insanity of the original comics. Making a movie is a journey, not a straight line. I learned so much. People want what they want, and everyone has a personal vision of how each character should look and walk and talk. If you set out to make a mass appeal movie, it's easy to end up with vanilla. But I went for it. And I know Squad has its flaws, Hell, the World knows it. Nothing hurts more than to pick up a newspaper and see a couple years of your blood, sweat and tears ripped to shreds. The hate game is strong out there. The movie was wildly successful commercially. And the World got introduced into some very cool characters in the DC Universe. And that success is due exactly to the wonder and power of DC, of its characters. Would I do a lot of things different? Yep, for sure. Wish I had a time machine. I'd make Joker the main villain and engineer a more grounded story. I have to take the good and bad and learn from it. I love making movies and I love DC. I'm a High School dropout and used to paint houses for a living. I'm lucky to have the job I have. I have to give the characters the stories and plots they deserve next time. Real talk. (And no, there isn't a secret edit of the film with a bunch of Joker scenes hidden in a salt mine somewhere." One of the main complaints from a lot of fans and critics with Suicide Squad had to do with the villain. 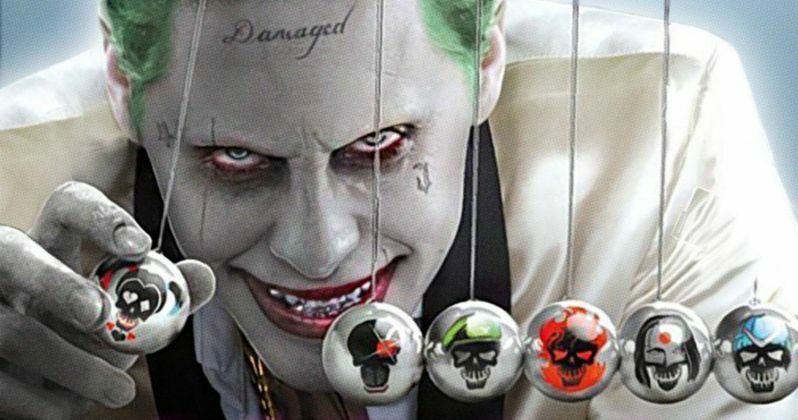 Not only that Enchantress wound up being a pretty generic and unexciting villain in the eyes of many, but that The Joker was barely in the movie, despite being used quite a bit in the promotional materials. That was especially surprising considering that they had Oscar winner Jared Leto playing the Clown Prince of Crime. Even though his portrayal of The Joker was, in itself, divisive, but it would have definitely helped streamline the movie to make him the main villain and probably would have made a lot more sense. A lot of the perceived problems that many have with Suicide Squad probably don't fall directly on David Ayer's shoulders. The movie wound up having to try and course correct the DC Extended Universe following the fallout from Batman V Superman: Dawn of Justice, which was also very divisive and not critically well-liked. Not only that, but it has been reported that David Ayer only had six weeks to write the script for Suicide Squad. If he had longer to work on it, he probably would have changed some things, as he suggests now. Still, imperfect as it may be in the eyes of many, Suicide Squad made $745 million worldwide, making it a bit hit for Warner Bros. That led them to give David Ayer the job directing the upcoming Harley Quinn spinoff Gotham City Sirens. The good thing for DC fans is that he learned a lot from the experience directing Suicide Squad and likely won't make the same mistakes again. It has been stated that Suicide Squad 2 is still happening, though it has been stalled because of Gotham City Sirens. Perhaps David Ayer will also return to direct, and can right some of his wrongs with that sequel as well. You can check out his full Twitter response for yourself below.